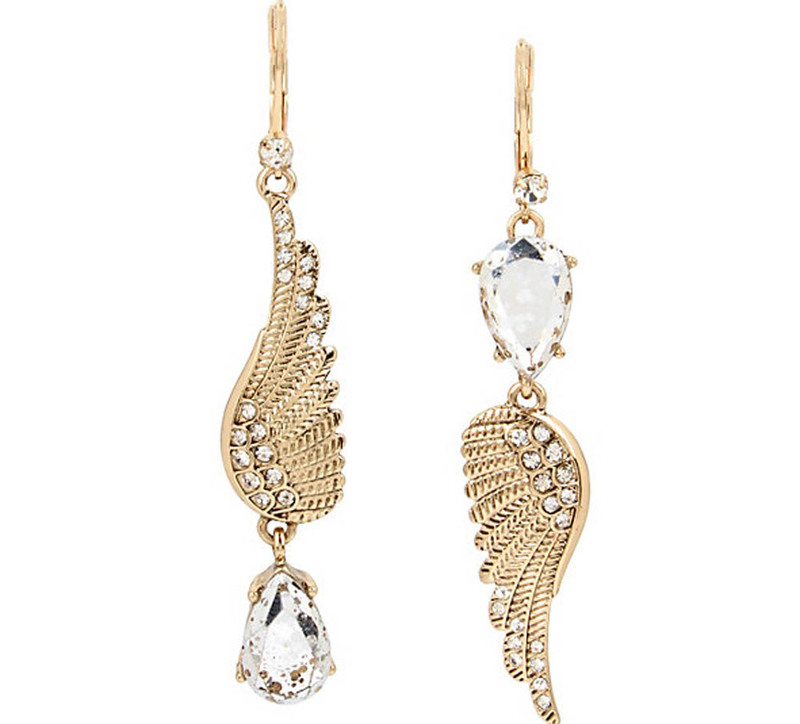 Beautiful angel wings accented with bright, shining crystals and multi-faceted stones dangle from your ears. This mismatched set is a divine addition to your wardrobe. Gold tone feather with crystal accents Euro wire Antique gold tone Metal/glass Length: 2.5" Width: 0.5"